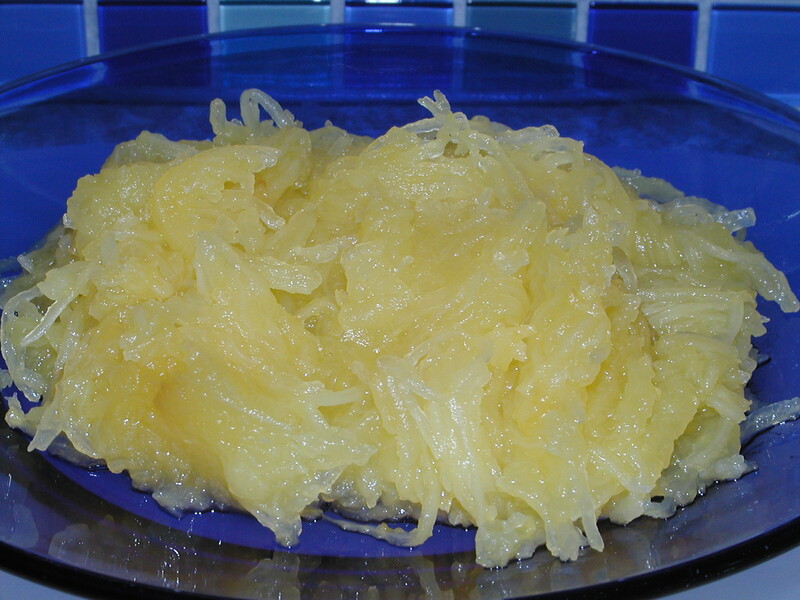 Cut spaghetti squash lengthwise. Scrape out seeds. Place cut side up on cookie sheet. Bake at 350 degrees Fahrenheit for about an hour. Scrape out noodles. Enjoy!